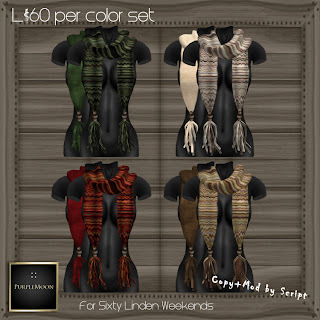 For this weekend I made some brand new set of scarves! Comfy, soft and perfect for the cold weather. 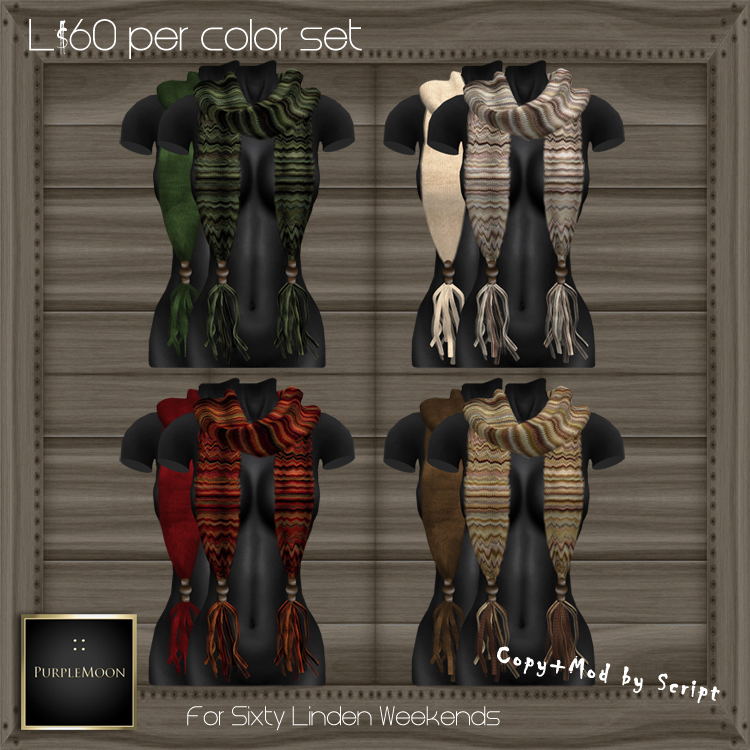 Each pack comes with the scarves, one with stripes and a plain one. Have fun with your mix & match! Only L$60 each pack! Para este fin de semana he preparado unas nuevas bufandas! Confortables, suaves y perfectas para este tiempo fresco. Cada pack incluye dos bufandas, una con rayas y otra de color plano. Diviértanse combinando! Sólo L$60 cada pack!